Celtic Earrings are the perfect opportunity to express ethnic Celtic heritage in an attractive and understated way. The Celtic culture is rich with symbolism, and one way to honour the history and fullness of the culture is by wearing some of the classic Celtic symbols in jewelry. 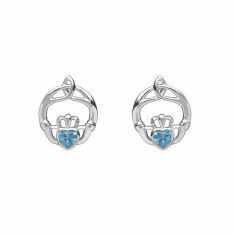 Our collection of earrings feature some of the most recognisable Celtic symbols including the Celtic cross, the shamrock, the triquetra (trinity knot), the Claddagh and the Celtic knot. Most of these symbols have been a part of Celtic culture for hundreds of years. 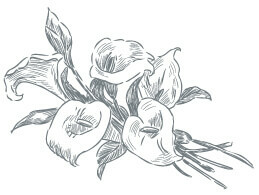 You'll find that we have both simple and more ornate designs to suit all different preferences. 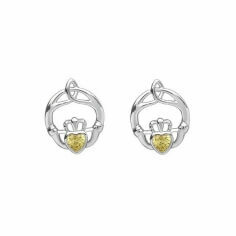 Our unique earrings are available in silver, yellow gold and white gold, and our collection includes stud earrings and dangle earrings. 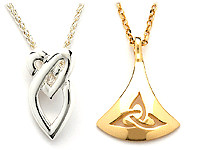 Some of our earring designs can be matched with the same design in pendant form as well. Celtic jewelry has become more and more popular in recent history. 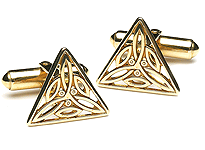 Once nearly exclusively worn to represent Celtic ancestry, Celtic motifs have become fashionable and in-demand outside of the Celtic community as well. 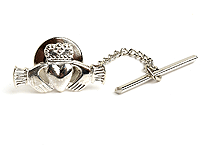 The contemporary Celtic designs in our collection seamlessly merge the traditional symbols with modern fashion styling. 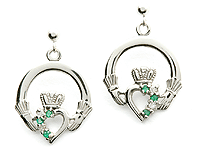 A pair of our irish earrings makes a perfect gift for a woman of any age. No matter whom you are shopping for (even if it's just for yourself), you're sure to find the perfect design in our considerable collection. You never have to worry about quality when you shop with us. 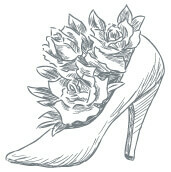 All of our earrings are painstakingly crafted and custom-made. 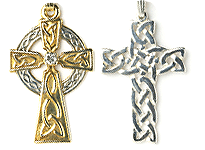 We only use the finest material in all of the Celtic jewelry we offer. We strive to make shopping with us as quick and easy as possible by offering a secure online ordering service and rapid turnaround on all of our orders. Not find what you were looking for? 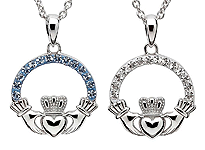 Check out our beautiful Celtic pendants.